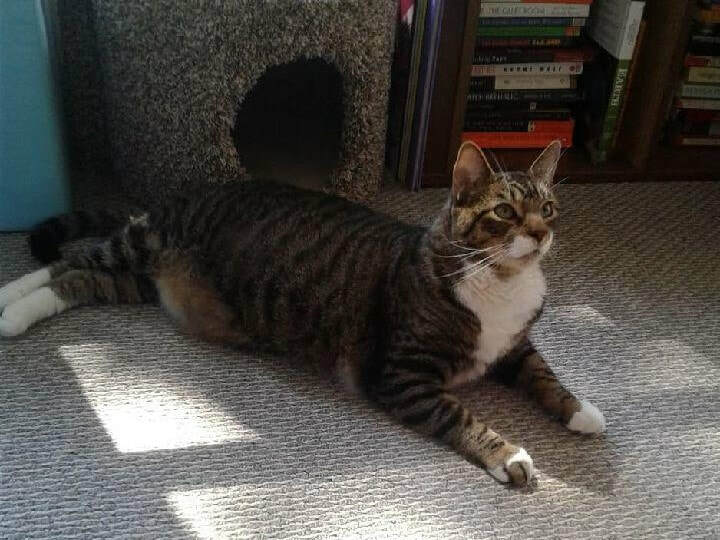 Squeak is an 18 pound senior cat looking for someone who can handle all of this love! He's a huge marshmallow of a cat, who loves to solicit scritches and snuggles from his people. He'll pull himself across the entire room while writhing on a catnip toy. He hasn't lived with other cats before, but his foster family has another cat cohabitating with him, and he hasn't been rude about it. Squeak lived his whole life with one man, and when he lost that person, he was deeply grieved. He's coming back to himself beautifully, and is ready to find his final and forever home. At ten years young, he still has so much love to give! Do you need a gentle giant in your life?